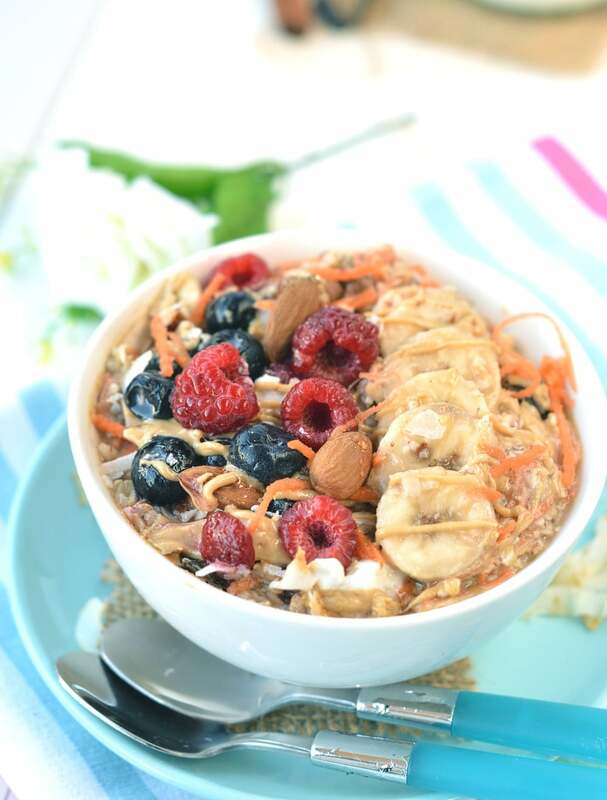 Overnight oats is a great make ahead healthy breakfast recipe with a sweet creamy texture. It is loaded with nourishing ingredient to make you feel good all day. 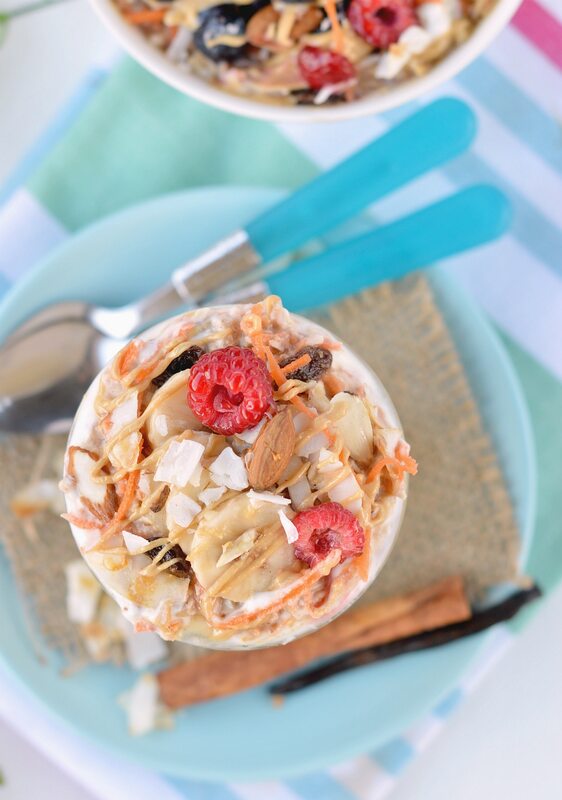 This carrot cake overnight oats is absolutely delicious. It taste exactly like an authentic carrot cake except is way much healthier. So don’t wait further and try this easy breakfast recipe and let’s bring dessert for breakfast. I never ate carrot cake back in France. But since I moved in NZ I am totally in love with carrot cake. Specially right now during pregnancy all I am craving for is a piece of rich carrot cake for breakfast. Well, it is probably not the healthiest thing to have for breakfast. So I came up with this carrot cake overnight oats recipe. I am making overnight oats recipes for breakfast often. 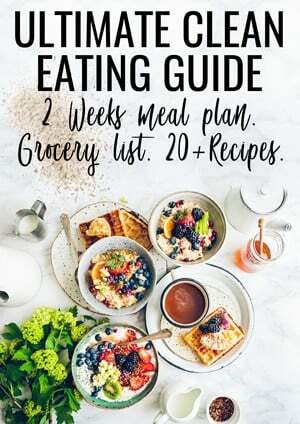 It is super quick to prepare and great for busy mornings. 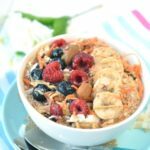 My girl Emma loves porridge for breakfast and this is a great recipe for her. It is simply a twist to her regular porridge with some hidden veggie! 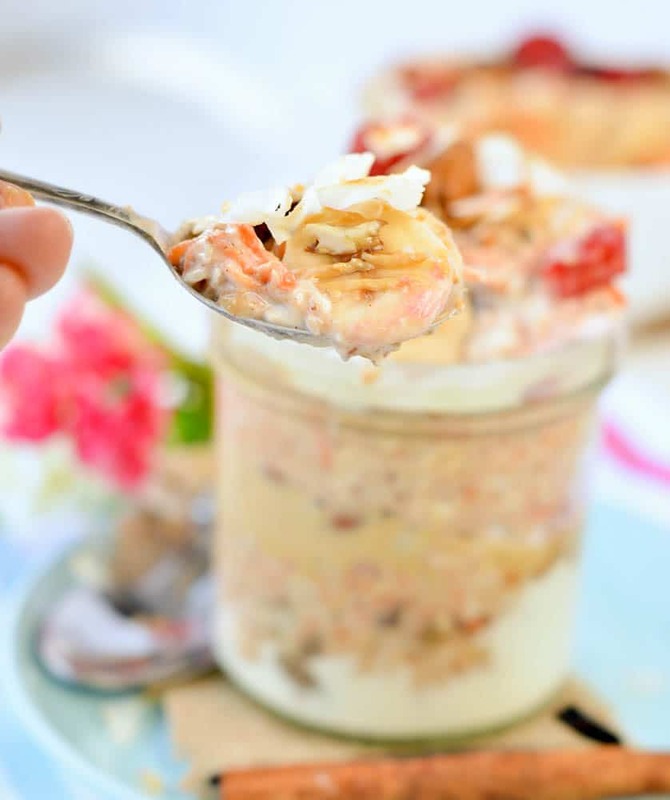 If you love overnight oats I also have a summer raspberry coconut overnight oats recipe on the blog. This recipe is my winter overnight oats recipe. A bit more comforting with lots of grated carrots, raisins, cinnamon and nuts. Well, I swap walnuts for almonds as it is clearly my favorite nuts. But feel free to use any nuts you like. For example my little girl loves adding pecan nuts in her bowl. To make this recipe all you have to do is to blend all the ingredients into a jar the night before. Starts by the dry ingredients first. Cover with liquid at the end. Give a good stir. Seal and refrigerate overnight. Done! SO now you tell me, what’s your favorite sweet breakfast recipe ? This recipe serve 2-3 people. In a jar combine all the ingredients in the order in appears in the ingredient list above. Seal the jar and refrigerate overnight. The next day top with extra almond butter, coconut yogurt or toasted nuts and coconut flakes. Store well in the fridge up to 4 days in an airtight jar or container. Sign up to receive 5 days of FREE Tips to Start Clean Eating and reboost your health !